Jasmin A green fresh start with essence of bitter orange and jasmine petals makes way for the mellow warmth of the orange blossom. 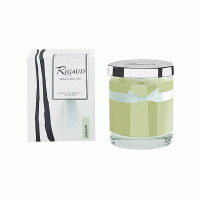 A luscious, delightful scent and it's perfect by Rigaud for any occasion. 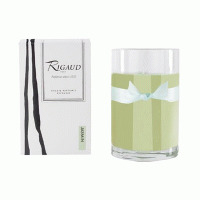 100ml RIGAUD is the environmental fragrance par excellence, known worldwide and appreciated by connoisseurs such as the Prince of Wales, Julia Roberts, Liz Taylor, Elton John, Donnatella Versace,Aaron Spelling, Carly Simon, Julie Andrews, and the late Frank Sinatra. 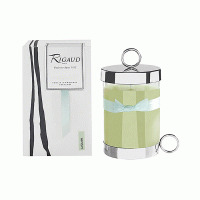 The White House became a place filled with the wonderful Rigaud Cypr's candle, as Jacqueline Bouvier Kennedy brought them into the world of JFK.